Now, I know why I kept this recipe unpublished for months. I remember saying to my friend Ify that I had a roasted turkey salad recipe that I just could not publish. I had wanted to delete it on several occasions, but I never got around to it. It is not that the recipe did not work. The recipe is amazing, but I just felt it was too simple and I felt that I needed better pictures. Fast forward to now that my computer and camera need some kind of fixing, this recipe has come to the rescue. Never ever underestimate the power of little things. Well, let us get to the “about” of this recipe. I came up with this recipe when I was pregnant with myAjebutter1. Although I was not always hungry, I took a liking to spicy foods and I never really wanted to slave over the stove. I thought about a simple spicey tomato salad and Kachumbari came to mind. 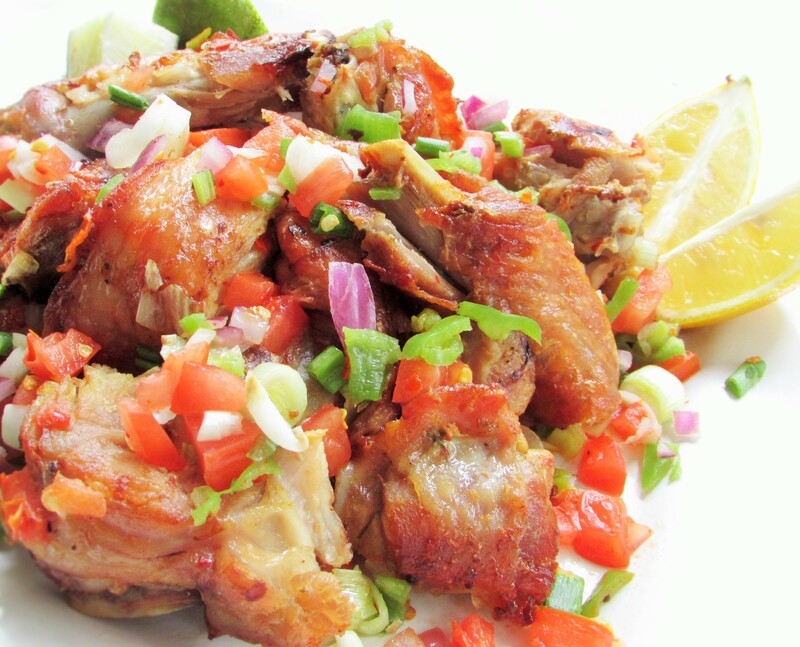 Kachumbari is an Eastern African fresh tomato and onion salad. 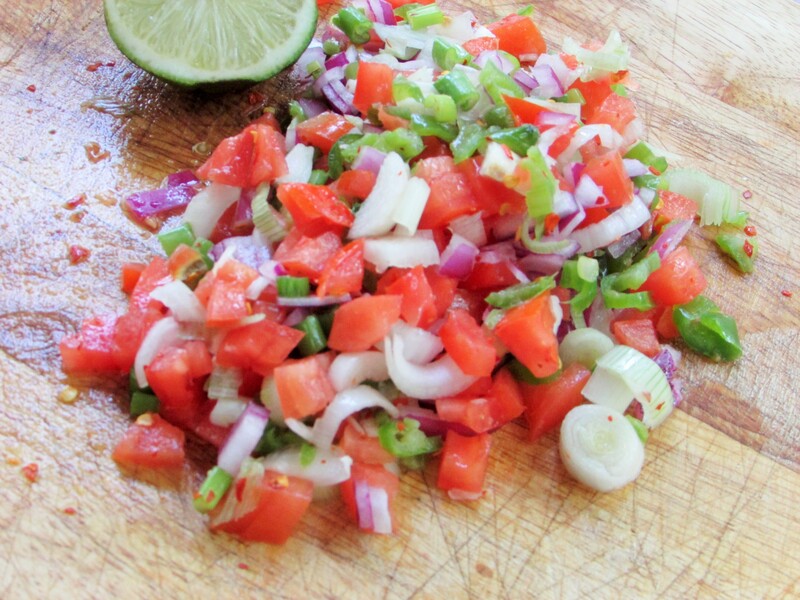 The Latin have a variation called Pico de gallo. There are various variations to it, but I like the variation that calls for chilies. Anyway, back to the gist. While I was pregnant, I used to visit my Aunty a lot and she taught me how to make a simple savory roasted turkey which she in turn uses in stews and soups. The added flavor is amazingly delicious! Quick tip! I always roast my turkey when I do not have any smoked one for my Nigerian soups and stews. If you do not own a smoker, your oven would work just fine. Anyway, I was hungry, so I roasted the turkey and tossed it in the cool tomato salad and next; I was in foodie heaven. I ate until I could eat no more. This dish is one of those dishes that you can never get enough of. You just keep picking at the meat and salad until you have actually eaten it all. This dish works as a side dish, a starter or as a main course. 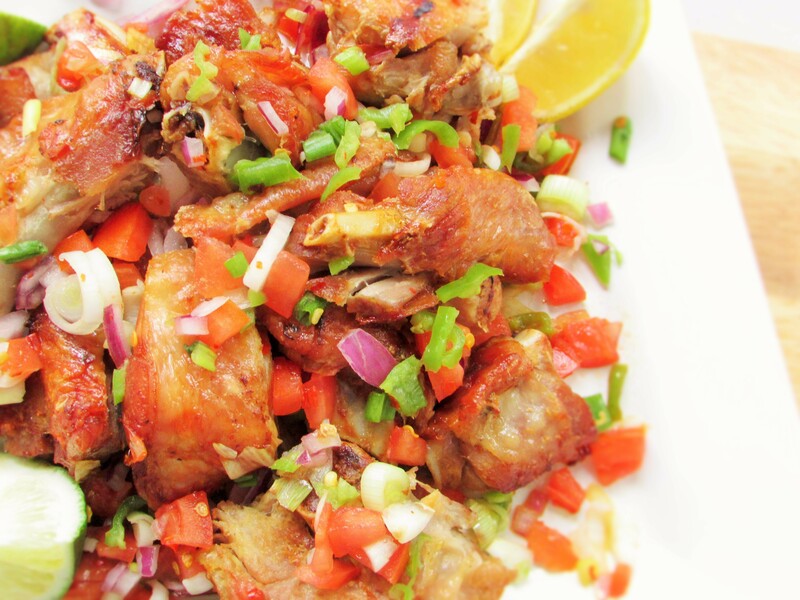 And if you are on a high protein diet, this is the dish for you! wash and pat turkey dry. Season with the garlic, ginger, bouillon, oil and salt. let it marinate for about 20minutes. Fire up your grill and grill until cooked. Or roast in a casserole dish in a 350 degree pre heated oven for about 45 minutes or until cooked through. It will be golden brown and slightly falling off the bones. This entry was posted in Appetisers, Appetizers, Barbecue Chicken Recipes, Barbecue Recipes, Barbecued fish, Beef suya, chicken, chicken dishes, Chicken Recipes, chicken stew, chicken suya, Eating Healthy, Healthy Eating, Healthy Nigerian, Healthy Nigerian Dishes, Healthy Nigerian Drinks, main dishes, main meals, Salads, Sides, Small chops, Snack, snacks, suya, Turkey Recipes, Uncategorized and tagged how to make kachumbari, how to roast turkey, Kachumbari, Kachumbari recipe, Nigerian blog, Roasted turkey drum sticks recipe, roasted turkey drums recipe, Roasted turkey drumsticks recipe, roasted turkey recipe, roasted turkey wing, Roasted turkey wing recipe, turkey salad recipe. Nma, your pictures are stunning and mouth watering. Thanks for the yummy recipe. Do you know that you were featured in CNN? Congratulations! This recipe sounds really good. Pinning it for later right now. Yup Yup! Thank you Yaya!!! Wow this looks really good! So healthy too. I bet it’s the perfect refreshing power meal!